PACEMAKER BELFAST 21/04/98 Collect piucture of Catholic man Adrian Lamph who ws shot dead in a Portadown refuge dump this evening. 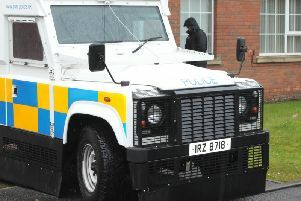 Loyalist paramilitries are being blamed for the attack. Twenty years ago this week the Lamph family were plunged into unspeakable grief after Adrian was gunned down by loyalist terrorists in Portadown. The 26-year-old had been working at the Fairgreen amenity site when he was shot dead by a Loyalist Volunteer Force gunman on April 21 1998. The gunman cycled into the amenity site and shot him at close range in the head and back. Police, who described the murder as ‘a purely sectarian’ attack, later found an abandoned bike and burning clothes in an alleyway. His brother Niall said despite 20 years going by, the family’s grief is still as raw as ever and they feel just as heartbroken. “We still have no justice for Adrian’s murder. We can’t remember the last time anyone from the police has been in touch. It is as if we have been forgotten,” he said. “My father Tommy died eight years ago never having seen his son’s killer brought to justice. After Adrian was murdered, his health went downhill. It affected him very badly. He always said for us to keep fighting for justice for Adrian. “I know there have been a lot of deaths in this country that have been forgotten but I don’t want Adrian’s murder ever to be forgotten. “The thought that his killer is still walking about this town, that we could be standing beside him in a shop, is just awful. “We want the man that pulled the trigger to be put behind bars. “Hopefully now that things have moved on and people are not as afraid to talk, someone with a conscience might come forward in relation to Adrian’s murder. “Our family has been left bereaved beyond words and the murder has cast a long shadow over the town. “Adrian was a father of one, who’s son has grown up to be a credit to him and his partner. He was only one when his daddy died and now he is at university in England. His father would have been proud of him. “Twenty years on as a family we feel justice should have been served and those responsible for this horrendous crime should have been put behind bars. “Our brother Kieran died three years ago at Easter past. He had fought for years for justice but to no avail and sadly won’t have the joy of hopefully, one day, seeing the gunman jailed.